If you think you have what it takes, apply now at www.horseware.com/grassroots to become Horseware’s first Grassroots Rider. Applications close on February 27th 2014 at 5pm GMT, a shortlist of five will be announced on March 12th. Public voting to decide the winner will end at 5pm GMT on March 21st, with the winner announced on March 24th. 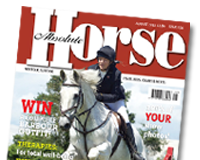 Applications are open to riders anywhere in the world, aged 16 and over, who don’t derive their living from riding, training and/or dealing in horses.